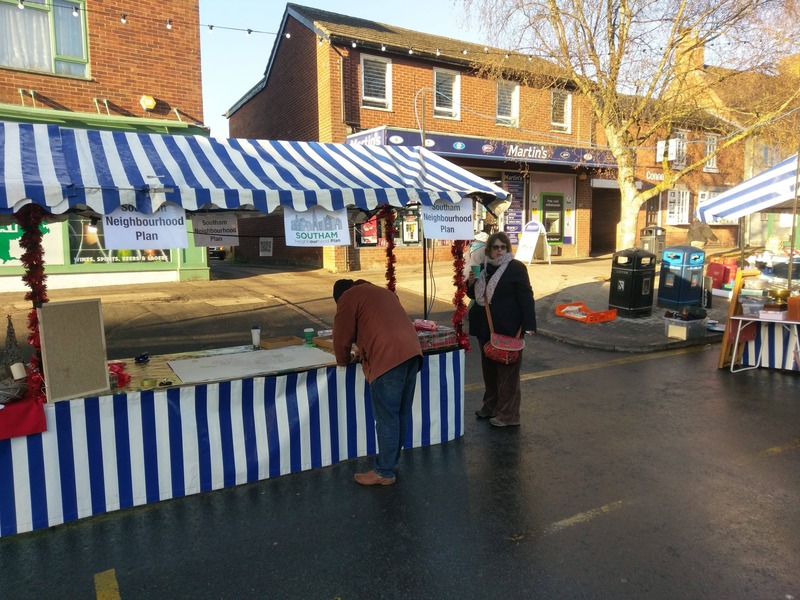 Sunday 4th December saw our first public open air event, a stand at the Christmas lights switch on event. Starting at 10 am we were almost immediately surrounded by interested Southam residents eager to have an input into what is important in the town. After 8 hectic (and slightly chilly) hours in which at times we ran out of clipboards, we counted 121 completed questionnaires and marked as many houses on our large scale map. The raffle was drawn with the help of some willing volunteers and we will be in touch with the winners over the coming days. Thank you all who spent time with us and if you didn't get a chance to complete our survey then head to the page marked December Survey above.